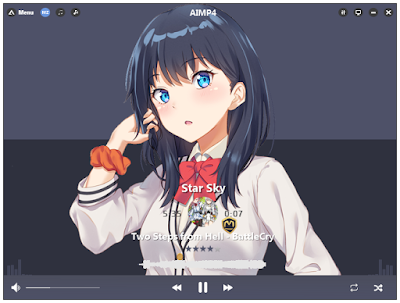 AIMP (Artem Izmaylov Media Player) is a freeware audio player for Windows and Android, originally developed by Russian developer Artem Izmaylov (Russian: Артём Измайлов, tr. Artyom Izmajlov). The first version of AIMP, dubbed "AIMP Classic", was released on August 8, 2006. AIMP was initially based on the BASS audio library. Version 3 added a new audio engine and full support for ReplayGain, and revamped the music library interface transparency effects. 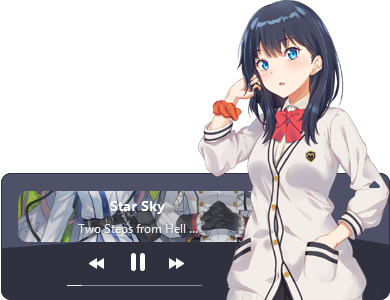 Rikka Takarada (宝多六花, Takarada Rikka) is one of the main characters in SSSS.Gridman and a member of the Gridman Alliance. Rikka is a friendly person, helping Yuta with his amnesia. She cares deeply for her friends, and is more of an empathic person, feeling more for the deaths of Tonkawa and the others despite not being friends with them. Rikka also offers assistance to total strangers, asking Anti if he wanted an umbrella and some food when he was out in the rain. She can also be a little snarky at times, like with Sho's proposed name of the "Gridman Alliance." Despite this, she has a more carefree side, as she skips school on a whim, without bothering to contact the school or her friends either. She has long glossy black hair, some of which goes over her shoulders and curls. It leaves her ears mostly visible, some hair tucked into them, and she has bangs that go just above her eyes. Her eyes are mostly blue, but they have tints of pink in the bottom. She has white collared shirt with a red bow. Over it, she has a long white sweater that buttons low enough to still show the bow underneath. On its top left side, it has a slightly hexagonal badge. She has two pockets, which both have two black stripes on the top. Her sleeves are baggy and the ends have two black stripes on them. The sweaters' buttons are yellow, and there are three buttoned at the top with the bottom two unbuttoned so that the sweater shows her skirt underneath. The skirt is black and isn't long enough to go below the sweater. On her right wrist, she wears an orange, scrunchy-like bracelet. Her shoes are brown and she's wearing dark pink medium length socks. Along with Sho, she gained the ability to see the kaiju in the distance after Samurai Calibur optimized Gridman. 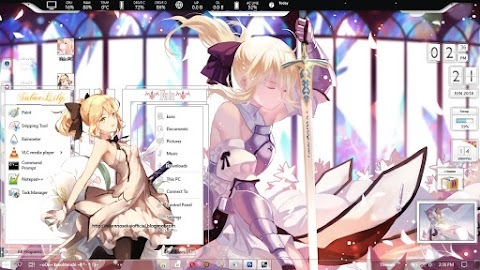 She's also more tech savvy, with a high typing speed.